For a while, a long while there, he was the biggest movie star in the world. * The 80’s and 90’s were his time. Go take a gander at his IMDB page, and I’m willing to bet that anyone can find a movie he’s in that they like. He racked up some well-deserved Academy Award nominations,** and proved definitively that he was more than a pretty boy movie star. Add to that, his movies have made billions at the box office, and you start to see why he’s a film icon. Is Cruise a beloved icon, though? Ah…no, not entirely. During a 2005 appearance on Oprah to promote War of the Worlds, Cruise got a little, let’s say, overly excited while declaring his love for then girlfriend Katie Holmes and proceeded to jump up and down on Oprah’s couch. The same year, he criticized Brooke Shields’ struggle with postpartum depression, and criticized the entire field of psychiatry. I’d be remiss if I didn’t mention the alarming details about his involvement with the church of Scientology. All of that acted as a flamethrower to Cruise’s image, and the former Cruise Missile found his stature diminished. Unlike many of his contemporaries, Cruise kept working. He insisted on generally high levels of quality for his films, and unlike a wide variety of actors I could name, he’s never made a movie just for the money or sleepwalked through a role. 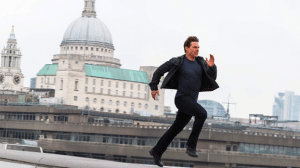 His latest film, Mission: Impossible – Fallout is proof of that. This is the sixth film in the franchise, and like previous entries, there’s a convoluted plot. Unlike previous entries, it’s a direct sequel to Mission: Impossible – Rogue Nation. In that film, Impossible Mission Force leader Ethan Hunt (Tom Cruise) did battle with Solomon Lane (Sean Harris), the anarchist leader of criminal organization The Syndicate. Now, his boss Hunley (Alec Baldwin) has tasked him to track down The Apostles, a Syndicate splinter group. The Apostles have this dandy plan involving setting off nuclear bombs in major cities. They need plutonium. Hunt, along with team members Luther (Ving Rhames) and Benji (Simon Pegg), must stop them from getting their grubby paws on it. Sounds pretty straightforward, right? Oh, ho ho ho, no. Problem number one occurs when the team screws the proverbial pooch and the plutonium is taken. Problem number two takes the form of CIA boss Erica Sloan (Angela Bassett). She thinks Hunt and company can’t be trusted, and she assigns August Walker (Henry Cavill) to keep tabs on them. Walker’s a brutal CIA assassin, and if Hunt is a scalpel, Walker is a sledgehammer. So now what’s Hunt’s mission, should he choose to accept it? Well…let me take a deep breath first. Hunt must make a deal with the White Widow*** (Vanessa Kirby), a shadowy information broker, to obtain the plutonium. 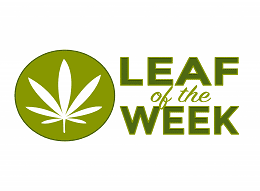 In return, the Widow demands that Hunt break Solomon Lane out of prison. There’s also talk of the mysterious John Lark, a terrorist who may be working as a mole. Complicating matters further is the return of Ilsa Faust (Rebecca Ferguson), an MI-6 operative who wants to nab Solomon Lane and return him to jolly old England. Mostly, there’s explosions, fisticuffs, people dangling from things, and lots and lots of running. It is a Tom Cruise film, after all. 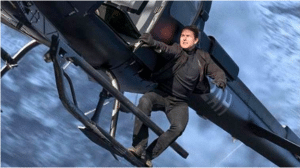 For a while there, Cruise envisioned the Mission: Impossible series to act as a showcase for different directors. That brought us a wide variety of styles, everything from the two-gun melodrama of John Woo to the humor and clockwork setpieces of Brad Bird. 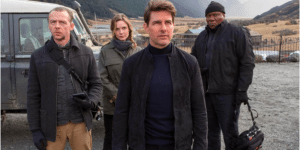 Christopher McQuarrie directed Rogue Nation, and delivered a meticulously crafted action movie with an all-timer of a set piece located at the Vienna Opera. Also a series first, McQuarrie wrote the screenplay. He continues the proud tradition of crafting a plot that requires a flow chart to understand it, but that’s a feature and not a bug for these films. His script also kind of gives the character of Ethan Hunt an actual character. Prior to this, there wasn’t much there, and Hunt simply had an inhuman focus on completing the mission at hand. Here, Hunt feels guilt over his imploded marriage, and he’s trying to gain perspective on what his role in all this means. Guys, it’s a character arc! Plus, McQuarrie is juggling a bunch of characters here, and he’s able to efficiently sketch them so that we quickly understand what makes them all tick. If you know anything about the reputation of Tom Cruise, you know he has a work ethic that puts virtually any human being to shame. At 56, we can see him starting to slow down a little, and start to see some pouches around his eyes. Willpower is pushing him forward, and that’s on display just as much in emotional scenes as when he flies a helicopter, operates a mounted camera, and acts — all at the same time. You may not like the guy, but you sure as hell have to respect him. That work ethic also forces the rest of the cast to bring it, and bring it they do. Ving Rhames and Simon Pegg are fun as usual, Alec Baldwin shows up to yell a little, and Angela Bassett glowers at everyone. 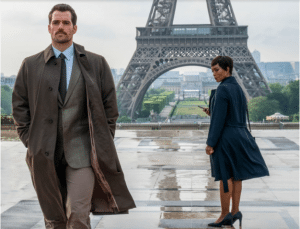 The two standouts are Rebecca Ferguson and Henry Cavill. As Ilsa Faust, Ferguson has a character on a similar trajectory as Ethan Hunt. She’s charismatic, fun, and should be a massive star by now. Most of us know Henry Cavill as the perpetually gloomy Superman, and he hasn’t had too many chances to show off what he can do. His Walker is a human wrecking ball, and we see Cavill vibrating for a chance to just pummel someone. He’s proving himself by going toe-to-toe with Cruise, and Cavill effectively holds his own. Mission: Impossible – Fallout is one of the best action movies of the 21st century, and the combination of relentless pacing and top-flight stunt work seals its reputation. But what happens to Cruise now? For most actors of comparable age, they couldn’t believably make movies like this for too much longer. Does Cruise channel his famous willpower into character acting and finally attain an Oscar? Does he shift to producing or even directing? Or does he continue to make phenomenal blockbusters with suicidally dangerous stunts? This is Cruise we’re talking about here, and it’s a fool’s wager to bet against him. F. Scott Fitzgerald wrote that, “There are no second acts in American lives.” He was wrong. Tom Cruise is proof of that. *Want to learn more about why Cruise matters as a film actor? Read Amy Nicholson’s excellent Tom Cruise: Anatomy of an Actor. **Cruise was nominated for Best actor in 1990 for Born on the Fourth of July, nominated for Best Actor in 1997 for Jerry Maguire, and nominated for Best Supporting Actor in 2000 for Magnolia. ***All of these movies have shadowy people/organizations with wildly dramatic nicknames. Doesn’t that serve the purpose of…um…making them less shadowy? ****I’ve said this before, but it’s a damn crime that stunt performances aren’t recognized by the Academy Awards. You can read more about the madness on display here and here to see amazing stunt professionals at work, and to see Tom Cruise shove his middle finger into the face of Death.